British marine diesel innovator Cox Powertrain has announced Berthon as the sole UK and Ireland distributor for its high powered, low weight diesel outboard engines, the first of which, the CXO300, will be launched next year. As one of the UK’s most established and best recognised marine sales and service brands, the appointment of Berthon will ensure that Cox’s UK & Ireland customers will receive the highest quality and most reliable after-sales and service support. 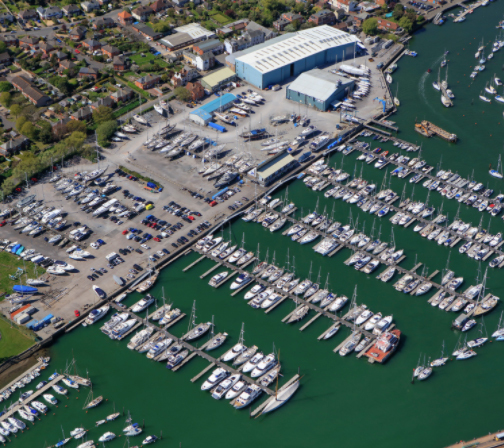 From its Lymington base, Berthon will be responsible for sales of the engines in the Solent and along the south coast and will hold stock of new engines and spare parts at its warehouse. It will also provide servicing and technical support. A UK dealer network will be established by Berthon at strategic ports around the coasts of England, Scotland, Wales and Ireland and the company will be seeking interested parties to become dealers in Plymouth, South Wales, Ireland, Northern Ireland, West Coast of Scotland, North West England, North East England, East Anglia and London/South East England. “We are very pleased to be appointed UK and Ireland distributor for the Cox Powertrain diesel outboard,” said Dominic May, Director of Berthon. “The technology will be disruptive in the market, enabling a move from dangerous petrol to safer diesel. It will be transformative for boat builders, who can now offer more volume on board by removing the diesel inboards and replace them with the Cox Powertrain diesel outboard motor on the transom.